In today's smartphone-, selfie- and celebrity-obsessed culture, people often use them to take unremarkable photographs of themselves or others. We don't care about any of that right now. We care about what happens when cameras tell a story, delivering a stunning visual account of a moment that you couldn't experience yourself. Cameras tell us a lot about the people who wield them. Sometimes photographers keep shooting, no matter what. Now we know how it feels to be in the line of fire. An armed Israeli policeman points his gun towards Palestinian demonstrators and photographers during clashes in East Jerusalem neighborhood of Ras al-Amud, following noon prayers, on February 28, 2014. And in the line of water. A vehicle attempts to escape a cloud released by the eruption of the Pinatubo stratovolcano on June 17, 1991, on Luzon Island, Philippines. Pinatubo rose about 5725 feet above sea level before the June 1991 eruption. Almost 500 feet of the volcano was blasted away by this eruption. Mount Etna erupts on May 12, 2011 in Etna, Sicily. As soon as he heard of the eruption, intrepid photographer Marco Fulle, 53, from Trieste in Northern Italy flew to the scene of the volcanic explosion. He was lucky not to be injured or killed during his madcap photo shoot - as fist sized lumps of volcanic ash called lapilli or volcanic bombs - rained down around him. If the photographers are lucky, they escape unharmed, with visual evidence of just how it feels to briefly teeter on the edge of life. A molotov cocktail explodes in front of riot police on September 25, 2013 during clashes with demonstrators in Athens. Sometimes, that's easier said than done. Aymann Ismail snapped this photo in Egypt just after being confronted by members of the Muslim Brotherhood during a protest in 2013. Ismail eventually retrieved his camera after having it stolen by an aggressive mob. This photo was on it. In other cases, cameras take us along for a ride we'd be too scared to go on ourselves. We're guessing you didn't want to be here, risking certain death -- even if it was pretty smooth. The proliferation of GoPro and helmet cameras has given us a more detailed first-person look into the lives of extreme athletes and others. No. Waaaaaaaaaaaaaa ... [takes breath] ... aaaaaaaaaaaaaaaaaaay. Did you want to be here. Austrian skydiver Felix Baumgartner looks out from his gas balloon before jumping into the final leg of his Red Bull Stratos mission, in which he broke the record for highest freefall. And this seems closer than home. Mission Specialist Bruce McCandless II is seen untethered from his ship during a space walk in February 1984. His distance of 320 feet away from the Orbiter still stands as the longest in history. Yet still, they decide to return to Earth the fastest way possible. Baumgartner jumps from his balloon, entering a freefall that would propel him past the speed of sound. He landed successfully and without injury. Showing us how it feels to be balanced on the edge of nothingness for a second. And then flying down the world's tallest waterfall the next. A man BASE jumps off of Angel Falls in Venezuela, a height of 3,212 feet. Or what it looks like to descend onto a makeshift civilization in the wasteland. Also known as Burning Man. A skydiver jumps from a plane over the Burning Man festival in the Nevada desert. Sometimes, cameras make it look like humans just fall back to Earth out of thin air. Orlando Duque of Colombia dives 23 metres (75 feet) from a helicopter next to the Statue of Liberty on August 19, 2013 as a teaser for the Red Bull Cliff Diving World Series. And other times, when falling isn't an option, taking pictures definitely still is. Cameras also allow people to capture once in a lifetime moments that you might have missed, even if you were there. And to immortalize a sense of terrifying anticipation that lasted only a millisecond in real time. From Flickr: This famous picture was taken by Jim Meads and is of English Electric P1B Lightning XG332 ... being departed by test pilot George Aird on September 13th 1962. The aircraft suffered an engine fire which burned through the tailplane actuator rods causing XG332 to go into a violent pitch-up about 10 seconds before landing at the DeHavilland aerodrome at Hatfield (not Wattisham). The pilot ejected and landed in a greenhouse. He broke both legs, but was flying Lightnings again a year or so later. Or for a basketball player to come crashing through the frame. Chauncey Billups saves the ball as he falls out of bounds during a game against the Memphis Grizzlies at FedExForum January 27, 2009 in Memphis, Tenn.
Cameras also give life to the scene directly after the mayhem. A group of skydivers are ejected from their aircraft after two planes collided in Wisconsin in November 2013. Nobody was injured. And allow us to relive moments we'll hopefully never have to see again. Figures of workers in fore watching thermonuclear detonation during Pacific tests. Cameras give us rare glimpses into other people's perspectives. Here's a pilot's view while landing at night. 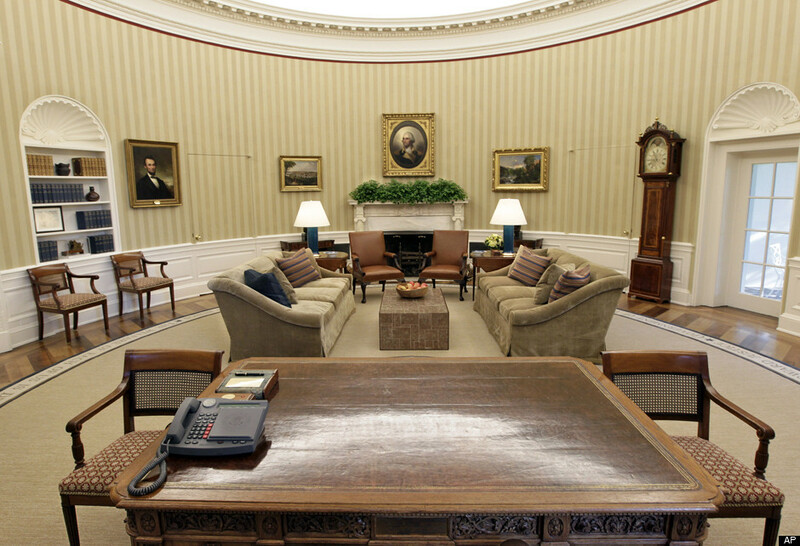 And this is what President Barack Obama sees when he's alone at his desk in the Oval Office. A lot has happened in that room, and it's stressing us out. Cameras remind us that authority can be tenuous. An Iraqi soldier stands guard as Shiite pilgrims walk towards the holy Shiite city of Karbala September 18, 2005, which is located approximately 70 miles south of Baghdad, Iraq. And what it looks like when people resist it. Demonstrators clash with police in Rome, Saturday, Oct. 19, 2013. But in their most basic and magical sense, cameras help transport us to places outside of our own realities. Thanks to this photo, you can imagine what it's like to be a rockstar taking the stage. Or how it feels to catch a sick wave. A caver descends into the Notts Pot cave system on Leck Fell, Lancashire, England. You can even see how it might have looked right before going "Back to the Future." This is the dashboard of a Delorean, the vehicle retrofitted by Doc Brown to send Marty McFly back in time. And get a breathtaking view that only a few humans have gotten to experience firsthand. The view from the top of Mt. Everest, at about 29,000 feet. In the end, cameras remind us how important it is to sit back and take it all in, even if we sometimes have to rely on a photographer (or seven) to do it for us. Correction: An earlier version of this story incorrectly stated the height of Mt. Everest.